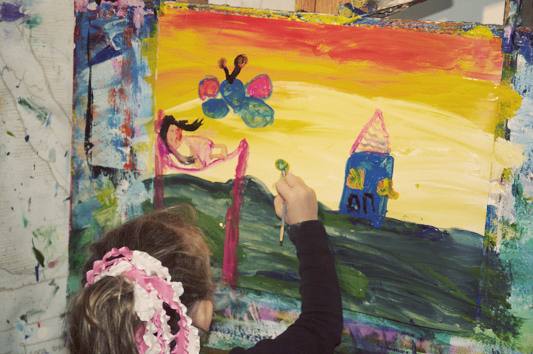 CASK seeks to develop and strengthen creative skills, build self-esteem, develop a sense of self-importance and individuality, encourage self-expression and stimulate imagination in children. New Students can sign up any time! Classes at The Creative Art Space for Kids Foundation are ongoing throughout the year (including the summer months in addition to our Art Camp); students may sign up at any time. Students meet once a week and do not have to bring any materials. CLICK HERE TO SIGN UP FOR CLASSES ONLINE! • Classes are limited to 12-15 students, depending on the day. • Please remember to dress your child in “art clothes” for classes- in other words, clothes that can get messy! • Art Class Refund Policy: Class size is limited so please note that when signing up for an art class others may be turned away. No refunds are given on class tuitions.